Is it Legal for a Roofer to Pay the Deductible on a Claim? With any insurance claim, there is almost always a deductible. If you make a car insurance claim, you will pay a deductible when you get the repairs done. If you go to a doctor, you will pay a copay. Yet some roofers claim that they can “absorb” or “waive” your deductible. If you have a roofer who offers to do this, you should stay far away. Shady business practices are often an indicator of shoddy workmanship and low standards. Rather than make possibly illegal claims, the quality roofers at Eagle Watch Roofing educate their clients. We are happy to work with your insurance company. We are also happy to explain why it isn’t necessarily legal for a roofer to pay the deductible on a claim. When you buy an insurance policy, you are entering into a contract with your insurer. The basic premise of any insurance policy is that you are trading regular payments (premiums) for the guarantee of coverage in case of catastrophic loss. The way insurance companies make money is by ensuring lots of customers and relying on the fact that not everyone will end up making a claim. The insurance companies are in essence betting on the fact that they will make more in premiums than they will pay out. Meanwhile, customers are betting that they will receive more on a claim than they will pay in premiums, thus saving money. However, in order for insurance companies to exist, they need to make sure that they always win the bet overall, even if some customers will win the bet individually. To ensure they always win the bet, insurance companies hire actuaries whose job is to determine risk. An actuary will figure out how likely it is that a customer will make a claim. Based on that information, an insurance company can set premium rates so that their total premiums from all of their clients are greater than the amount they will pay out in claims. That is their business model and without it, there would be no such thing as insurance. In general, there are two types of insurance policies, whether you are buying health insurance, car insurance, or homeowners insurance. The first type is high premium and low deductible. In this case, the insurance company agrees to cover a larger portion of the damage claimed. To make that a reasonable bet, they collect higher premiums. The second type of coverage is low premium and high deductible. In this case, the customer pays less to the insurance company, but the insurance company hedges their bet by covering less of the damage if a claim is made. In any case, there will be some deductible. That is just part of how the insurance company ensures they can stay profitable. In the not so distant past, a roofer covering the deductible on a claim was a legitimate practice. This had to do with how insurance companies made payments on a claim. When a homeowner had damage to their roof, the insurance company would send out an adjuster. The adjuster would determine the cost to repair the damage and write a check to the homeowner for that amount minus the deductible. So if the damage was going to cost $10,000 to fix and the homeowner had a $1,000 deductible, the adjuster would write a check for $9,000. Once the homeowner had the money, it was up to them what to do with it. The homeowner could choose to do only minor repairs and keep most of the money. Or they could pay a roofer the full $10,000 for a complete repair, chipping in the $1,000 deductible out of their own pocket. Alternatively, a roofer could offer to do the job for $9,000, thus “absorbing” the deductible. The choice was up to the homeowner and the roofer. Modern insurance plans no longer make a lump sum payment to the homeowner. Instead, they have a Replacement Cost Value provision. This provision states that the insurance company will only pay for the actual cost of the repairs. The payment comes in at least two checks. First, the adjuster determines the cost of repairs, for example, $10,000. Then, the adjuster subtracts the $1,000 deductible, to come up with a claim amount of $9,000. Then, the adjuster subtracts the depreciation of the roof if it isn’t brand new, for example, $4,000. The final amount of the first check made out to the homeowner is then $5,000. 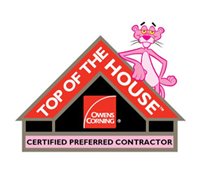 In order for a roofing contractor to get paid the full $10,000 for their work, they have to produce an invoice and bill the insurance company. At that point, the insurance company will release a check for the remaining cost of the repairs (minus the deductible). Using our example numbers, that check would be for $4,000: $10,000 for the invoiced repairs minus the $1,000 deductible and minus the $5000 already paid to the homeowner. That check is usually made out to the mortgagee if there is still a mortgage. They will pay the contractor the $4,000 from the insurance company. 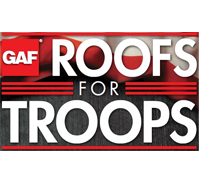 The remaining $6,000 due to the roofing contractor is paid by the homeowner, who pays with the $5,000 they received from the insurance company plus the $1,000 deductible. The only way for a roofer to absorb or pay your deductible is to commit insurance fraud. It’s that simple. In many states, it is actually illegal for the roofer to pay your deductible. The roofer may try to do this in one of a few ways. One way is to place a sign in your yard and offer a $1,000 credit for the advertising value. However, that would mean that the roofer is only charging $9,000 for the work performed. If the roofer wants to get paid for the full amount of the repairs, they will have to fill out an invoice for $10,000. When filling out an invoice, the roofer must divulge the cost of the work they performed. If the work only cost them $9,000 and they are invoicing for $10,000, that is insurance fraud. If the roofer was totally honest, they would have to invoice for $9,000 worth of materials and labor and $1,000 worth of advertising. No insurance company would pay that kind of invoice. The insurance company will only pay the amount that it costs to repair the roof minus the deductible. If the repairs can be done for $9,000, the insurance company will pay the roofing contractor $8,000. The homeowner would then have to pay the remaining $1,000 deductible to the contractor. In short, there is no way for the homeowner to avoid paying the deductible without the contractor committing insurance fraud. Insurance fraud is a serious crime and insurance companies don’t take it lightly. If a contracting company commits insurance fraud, don’t imagine that they won’t go after the homeowner as well. If nothing else, the fraud is a breach of contract. The contract between the homeowner and the insurance company was to pay for a claim. If the contract is breached, there is no payment. The homeowner must pay the full cost of repairs and return any money that was paid by the insurance company. If you find a roofing contractor who is willing to fudge the numbers for you to avoid paying a deductible, run the other way. It doesn’t pay to do business with a criminal. If they are willing to defraud the insurance company, chances are they are willing to cut other corners. Your roof protects your largest investments and most expensive purchase: your home. Don’t entrust the safety of your home to a swindler. 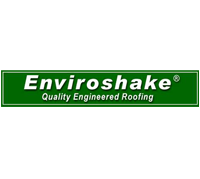 Eagle Watch Roofing is proud to do quality work at competitive prices. 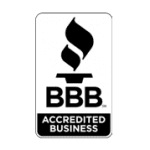 We are certified by TrustDALE, accredited by the Better Business Bureau, and hold several other certifications. If you are filing a claim for roof damage, we’re here for you. We work with your insurance company from the first meeting with the adjuster to the final payment of your claim. And you can be sure that you are getting the work done right by a reputable roofer. We’ll also work with the insurance company to make sure that your deductible is the only cost you incur. If you have an insurance claim to file, go ahead and contact Eagle Watch Roofing to get started today.